Will Iraq Refer The Issue Of Ilisu Dam To The UN Security Council? Home / Save the Tigris / Will Iraq Refer The Issue Of Ilisu Dam To The UN Security Council? On March 22nd in Baghdad, the Iraqi Social Forum – a gathering of several Iraqi civil society organizations – and the Save the Tigris and Iraqi Marshes Campaign, in cooperation with the Baghdad Provincial Council, held a seminar to discuss Iraq’s national water policy, with a focus on the issue of Ilisu Dam. 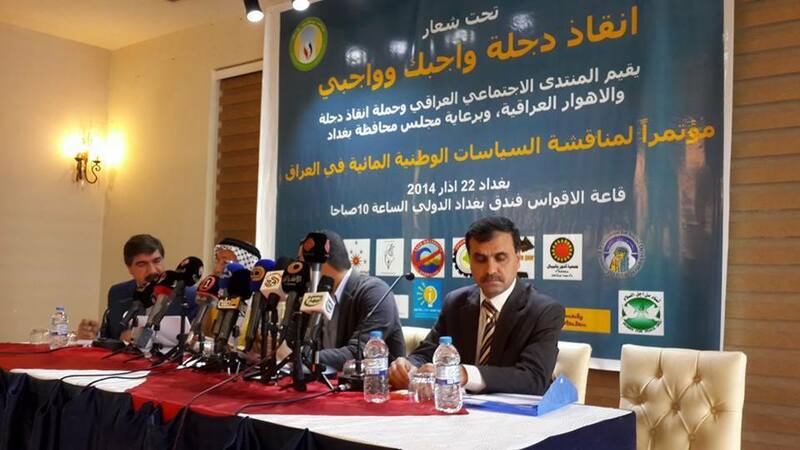 Representatives of various Iraqi ministries, including the Ministry of Environment, the Ministry of Water Resources and the Ministry of Agriculture attended the seminar. The discussion focused on the deterioration of the water situation in Iraq and the consequences that the Ilisu dam, being built in Turkey, will have on Iraqi agriculture and economic development. The Save the Tigris and Iraqi Marshes Campaign presented a Legal Position Paper that analyzes Turkey’s violations of international law related to the construction of the Ilisu dam and outlines actions that the Iraqi government can take according to international law. Such actions could include the forming of a Crisis Group that takes the responsibility to negotiate with Turkey and asking for mediation to a third party, or bringing the issue to arbitration. The problem related to the Ilisu dam for the Tigris River is very similar to that being discussed between Ethiopia and Egypt regarding the Nile River Basin and the construction of the Renaissance dam. Recent media reports say that Egypt is considering to take the case to the UN for arbitration, hence Iraq should follow that dispute. 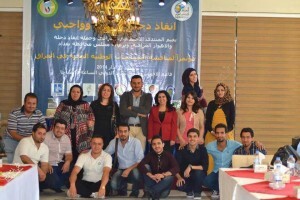 In a live broadcast during the Baghdad seminar Johanna L. Rivera, Save the Tigris Campaign coordinator, explained to Iraqi officials and civil society that “The environmental impact assessment of the Ilisu dam failed to consider transboundary effects of the dam on the people and environment of Iraq in violation of customary international law. In addition, the government of Turkey failed to consult with the communities in Iraq directly affected by the dam, in violation of international customary law.” Rivera encouraged cooperation between the Iraqi government and civil society to share resources and take the political decision to act immediately. The construction of the dam will impact the Iraqi Marshes, currently under restoration efforts and recently nominated as a potential World Heritage Site to UNESCO. In this occasion the organizers launched a video: The Iraqi Marshes: Beauty and Civilization in Danger. Direct negotiations between countries. Although this approach is ongoing on general matters, and has not been successful in the past since the two countries disagree on the definition of “international river” and on the application of international laws and conventions, legal experts think that negotiation focused specifically on Ilisu dam, not water shares in general, are needed. Negotiations should remind Turkey that Iraq is a strategic economic partner and that water policy is part of any economic or political agreement for the future. Mediation. Iraq should seek help from international actors, and other countries that hold good relations with Iraq and Turkey or share mutual treaties and conventions with them, to mediate between both countries. If Turkey refuses to open dialogue about the Ilisu dam construction, the Iraqi government should hold Turkey accountable to its international legal obligations by bringing the issue to the United Nations Security Council with an official statement. Turkey used its national courts to legitimize and continue the construction of the dam, despite the fact that it clearly violates international customary laws. Meanwhile, the international public opinion ignores this important problem that can affect peace and development in the whole region. The Save the Tigris and the Iraqi Marshes Campaign believes that the Iraqi and Turkish governments have a shared responsibility to start dialogue on the issue, and that the international community should act now to support them.